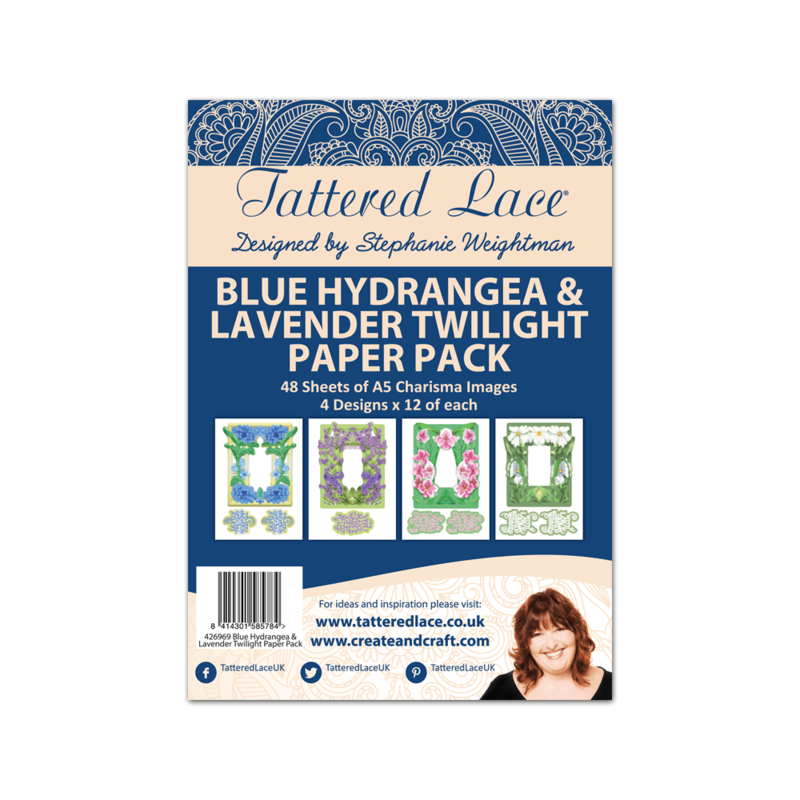 This Paper Pack coordinates with the new Tattered Lace Blue Hydrangea and Lavender Twilight collection, which features 4 floral aperture frames in designs of hydrangea, daisy, lavender and lily! This must-have pack of paper features a colourful charisma design for each die; the colours are vibrant tones of blue, green, yellow, purple and pink, giving you an assortment of designs that are sure to catch the eye. Each charisma also comes with a sentiment which fits perfectly inside the coordinating aperture. The sentiments are ‘Live More, Laugh Often, Love Much’, ‘You Make the World a Better Place’, ‘With Love and Best Wishes’, and ‘To You on Your Special Day’. They are perfect for a wide range of occasion projects, including birthdays, weddings, anniversaries and more. You will receive 48 sheets of paper in total; there are four lovely designs across the pack, meaning you’ll receive 12 sheets of each one – giving you plenty to craft with!